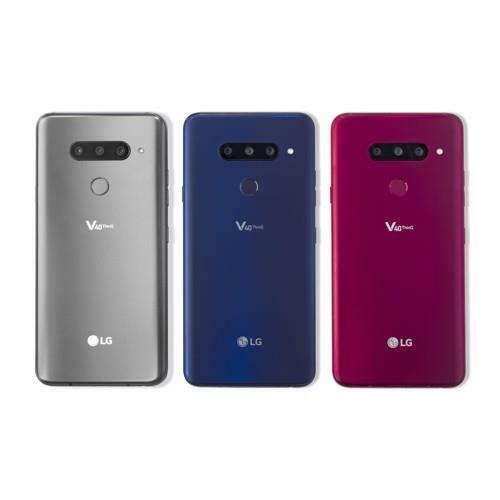 SEOUL, Oct. 9 (Yonhap) -- LG Electronics Inc. said Tuesday that it will launch its new flagship smartphone, the V40 ThinQ, in the United States on Oct. 18, ahead of its release in South Korea. The new five-camera smartphone can be pre-ordered starting Thursday and Friday, depending on location in the U.S., through major U.S. carriers such as Verizon and T-Mobile and will be available on Oct. 18 and Oct. 19 priced US$920 or $980, the South Korean tech firm said. Industry sources forecast the LG V40 to hit the Korean shelves on Oct. 24 with a price tag a little above 1 million won (US$878). The new device has a unique, upgraded five-camera arrangement with three rear main cameras and two cameras up front, meaning that moments can be seized as they happen from multiple angles. The upgraded artificial intelligence (AI) feature of the camera automatically suggests the best angles and effects and also recognizes up to three people and adjusts composition, the company said. The V40 ThinQ, which comes in gray, blue and red, features a 6.4-inch display that delivers remarkable clarity, LG said.